Size / Weight : 250 ml. 100 ml. Our cold-pressed natural virgin coconut oil, completely untouched by heat, still possesses its natural color, scent, nutrients, and other wholesome beneficial properties. – Apply a thin layer of AKALIKO Coconut Oil before going out in the sun to protect your skin from UV rays and sunburn. – Apply after shower to moisturize your skin to keep it healthy and smooth. – Soothe your muscles by massaging with AKALIKO Coconut Oil, which is fast-absorbing and leaves no greasy residue. – For soft and shiny hair, mask your hair thoroughly with AKALIKO Coconut Oil. Leave it on for 20-30 minutes then wash off with shampoo. – A chemical-free cosmetic cleanser for removing makeup. – A good facial skin care solution. 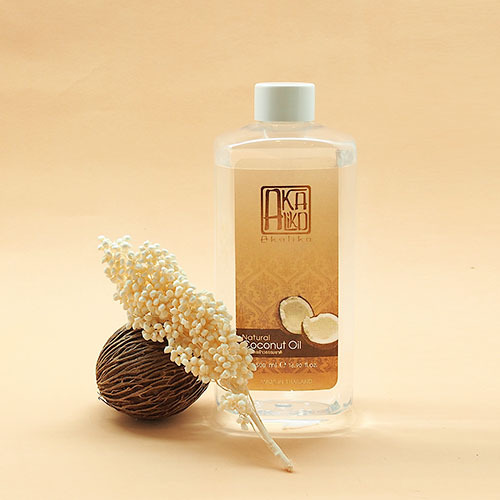 Simply pour a few drops of AKALIKO Coconut Oil on a cotton pad and swipe it all over your face without washing it off. Use regularly to prevent blemishes, freckles, and dark spots. – For oil pulling or cooking. – Prevents damage from free radicals and stimulates the excretory system. • Obtain from fresh coconut milk processing thru state-of-the-art Centrifugation Technology. 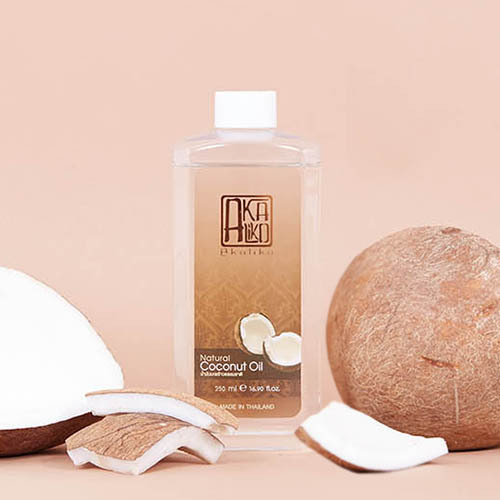 • No heat and no chemical are involved in the production, resulting in highly stable coconut oil with low humidity that retains its natural coconut aroma perfectly. • High in natural vitamin E.